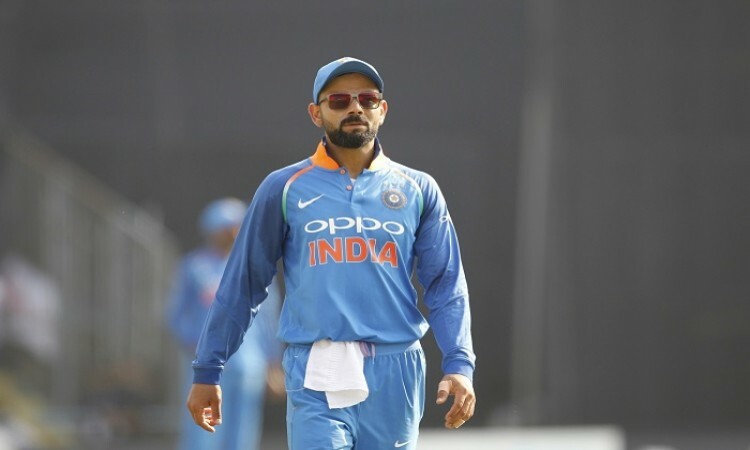 Guwahati, Oct 21 (CRICKETNMORE): After winning the first ODI against the West Indies here, Indian skipper Virat Kohli said bowlers could have performed better, especially in the last few overs. A brilliant century by Shimron Hetmyer (106) and some useful contributions from Devendra Bishoo and Kemar Roach towards the end helped West Indies post 322/8. Hetmyer played 78 balls and slammed six boundaries and as many sixes before he was dismissed by Ravindra Jadeja in the 39th over. Towards the end, Devendra Bishoo and Kemar Roach forged a 44-run partnership for the ninth wicket to guide the West Indies to a challenging total. "It's difficult to contain when a side like Windies bats like that. I don't want to be too harsh on the bowlers, but yes, we could have applied a bit better and bowled better in the last few overs. That is something to learn for us," Kohli said after the match. Opener Rohit Sharma and skipper Virat Kohli scored blistering centuries to help India thrash the West Indies by eight wickets here on Sunday. India dominated with the bat through out the innings as Rohit remained unbeaten on 152 while Virat was dismissed for 140. On the other hand, West Indian bowlers struggled with the line and failed to take wickets. "Feels pretty good. Very convincing for us. Windies put up a really good total. 320 targets are very tricky, but we knew we could do it with a big partnership. It's never too difficult when you have Rohit at the other end," Kohli said. "Among the top three, I mostly take the anchor role because both Rohit and Shikhar are good stroke-makers. It was one of those days where I felt good and I told Rohit I will continue to bat this way positively and maybe you can play the anchor role," he added.